Home > Household Deals > Checks Unlimited | Duplicate Checks for $5.80 A Box Shipped! 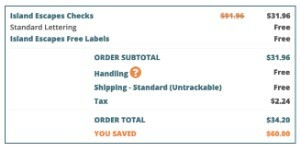 Checks Unlimited | Duplicate Checks for $5.80 A Box Shipped! Looking for a great deal on personal checks? We don’t use them too often these days, but it sure is nice to have some on hand for the moments you need them! Checks Unlimited is my go-to place that always has the best prices! Get a single box of checks for $4.95 or a box of duplicate checks for $5.50. Use coupon code R66Q to get this deal. Plus if you order 4 boxes, the 4th will be free! You will owe $1.95 handing for each box. I went with 4 boxes of duplicates and they shipped for $23.22 after tax. That makes it $5.80 per box of duplicates shipped! 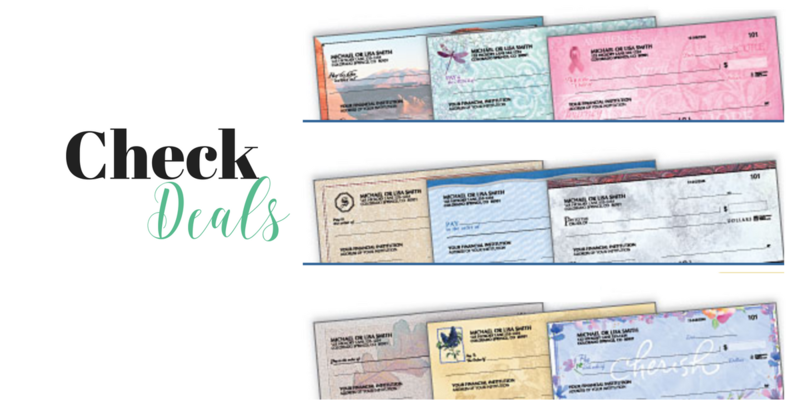 Get a single box of checks for $6.99 or duplicates for $7.99, plus get free address labels, free shipping & handling and free lettering with any 2 or 4 box order. Use code 43P7 at checkout. This made 4 boxes of duplicates $34.20 after tax for me. Both offers are good through April 30th.